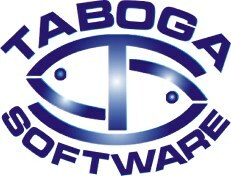 Welcome to Taboga Software's home page! Source of Templates and Tools for the Clarion Programmer. We have five new products in the oven, and we have done updates to all of our previous products. Write Excel BIFF8 (Excel 2003) workbooks natively, without the need of Excel. Includes support for most formulas, and cell, column and row formatting. Fast and intuitive way to add interactive filtering to a browse. We have designed a very clean and intuitive interface for runtime filtering a browse. Take a look at the demo application and we think you will agree. This template allows you to easily implement full-text searching on all fields on a browse. It also allows to search on any (or all) child browses also located on the window. After a long delay we are finally approaching our gold release for this must have product. Completely rewritten native Excel interface. The Excel workbooks generated are now Excel 2003 compatible workbooks. Of course, this is still a native excel writer library, and thus your users do not need to have Excel installed on their machines. The templates and library now get the data out of the Clarion generated WMF files. This means that you can export the data from summary-only reports. Something you couldn't do with the previous beta versions. A number of bug fixes have also been incorporated. ABC and Clarion chain are both supported. One installation script for both Clarion 6 and Clarion 7. In short, this library and templates allow you to export any report's data to Excel, Basic (CSV), and/or XML formats. In addition, this library is fully compatible with Softvelocity's Report Output libraries. For more information please visit the Taboga Report's Data Exporter pages. The Barcode Library is currently our top selling Clarion add-on. The library (and template) allow you to display and print barcodes in your windows and reports with ease. We have released a Clarion 7 compatible version of the library. Proceed to the Barcode Library and download the installation script. Please note that this release is free to all existing Barcode Library users. We are please to announce that we have also released a Clarion 7 compatible version of our report tempplates. The templates are also considered gold version 1 now. Proceed to the Report Templates page and download the installation script. Please note that this release is free to all existing Report Templates users.